The majority of the objects in the Philippine collection were acquired by anthropologists Fay-Cooper Cole, William Jones, and Stephen C. Simms in the first decade of the 20th century. The Museum's involvement with the Philippines came after the 1904 Louisiana Purchase Exposition in St. Louis, where objects and peoples from the colonies of several nations were on display. The Philippines, a U.S. colony since the Spanish-American War of 1898, was featured prominently in the exposition as "a fair within a fair." Robert F. Cummings, a grain merchant from Clifton, Illinois, was greatly intrigued by the Philippine exhibition and approached the Museum with a proposition: he was willing to fund extensive anthropological research in the Philippines with two apparent provisions: that the people of Illinois should benefit and that the work should begin immediately. Cummings pledged no less than $20,000 to cover all expenses of fieldwork. In return, the Museum guaranteed to bear the costs of setting up a large permanent Philippine exhibition. These Philippine expeditions led by Fay-Cooper Cole were quite successful. He collected over 5,000 objects from various areas of the Philippines. Williams Jones, however, was not so fortunate. He was killed by Ilongots during an expedition in March of 1909, while in the Caraballo Mountains of eastern Luzon Island. The reasons and motives surrounding his death remain unclear. After news of the death reached Chicago, Stephen C. Simms traveled to Luzon to complete the work begun by Jones. By the end of December 1911, all of the objects, photographs, recordings, and notes were in Chicago. The collection consists of correspondence, mainly between the Curator of Anthropology of the Museum, the sponsor of the expedition, and the members of the expedition, maps of the places visited, hand-written notes by the members of the expedition, specimen lists, notebooks, an expense list, a list of photos, and physical measurements. Fay-Cooper Cole was an American anthropologist who became an authority of the peoples of the Malay Archipelago and promoted modern archaeology. He was born on August 8, 1881, in Plainwell, Michigan, and graduated in 1903 from Northwestern University. In 1904, Cole joined the staff as Assistant Curator of Anthropology of The Field Museum, where he worked until 1923. He pursued post-graduate studies at the University of Chicago, University of Berlin, and Columbia University, where he received his PhD in 1914. His dissertation, A Study of Tinguian Folklore, compared the old culture reflected in Tinguian myths with the culture of present-day Tinguians and demonstrated the changes that had taken place. Cole's fieldwork included assignments in the Philippines and Indonesia for The Field Museum where he became assistant curator of Malayan ethnology and physical anthropology. In 1924, he worked for the University of Chicago, where he helped to establish their graduate program in Anthropology. Cole was a popular teacher and lecturer who taught courses in nearly every field of anthropology except linguistics. He became interested in the field of Midwestern archaeology and instituted an archeological survey of Illinois. Cole wrote popular accounts of human evolution and the growth of culture, including The Long Road from Savagery to Civilization (1933) and The Story of Man (1937) with Mabel Cook Cole. He became professor emeritus in 1948, and died on September 3, 1961, in Santa Barbara, California. S.C. Simms was the assistant curator of ethnology for The Field Museum. In 1894, he was hired as a preparator at The Field Museum in the Department of Geology and became an assistant curator in the Department of Industrial Arts. From 1899 to 1912, Simms served as assistant curator of ethnology in the Department of Anthropology. He made field trips to Alberta, Arizona, California, Montana, Minnesota, Kansas, and the Philippines. 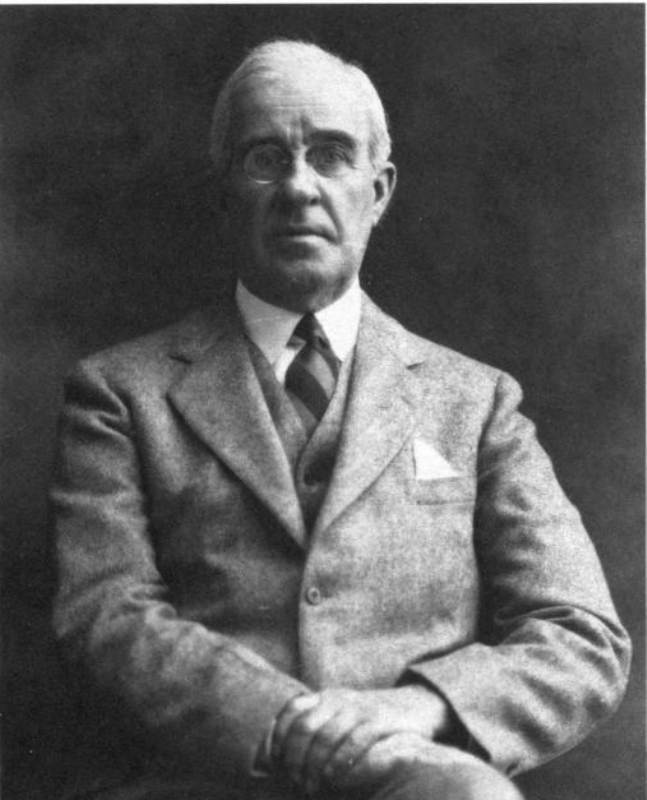 Simms was the director of The Field Museum from 1928 until his death in 1937. William Jones, a member of the Fox nation, was the first Native American to receive a PhD in Anthropology. Born in Oklahoma on March 28, 1871, he studied at Hampton Institute, graduated from Phillips Academy, and received his Bachelor of Arts degree from Harvard. After completing his studies with Franz Boas at Columbia University in 1904, Jones became a specialist in Algonquian languages, known for his extensive collection of Algonquian texts. 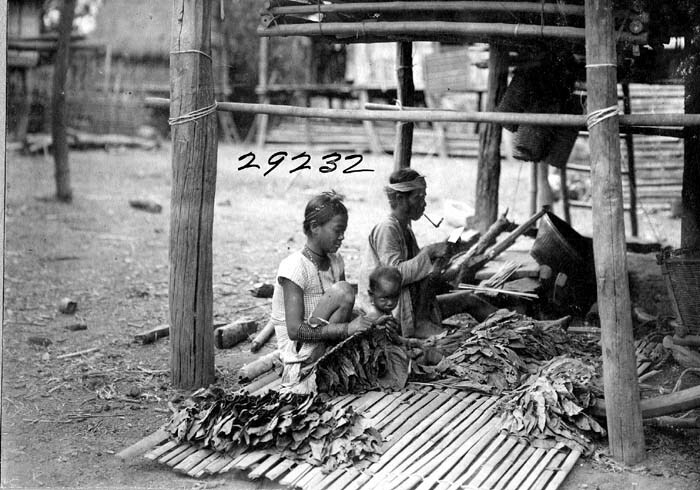 In 1908, while employed as an assistant curator at The Field Museum, he went to the Philippines, where he spent his time with the Ilongots. He was assassinated in March 1909, at Dumobato on the east side of Luzon. Mabel Cook Cole was an anthropologist and writer. Born in Plano, Illinois, on April 18, 1880, she graduated from Northwestern University in 1903 with a Bachelor of Arts degree. Along with Margaret Mead she was a charter member of the Women's Anthropological Group. She married Fay-Cooper Cole before his first expedition to the Philippines. 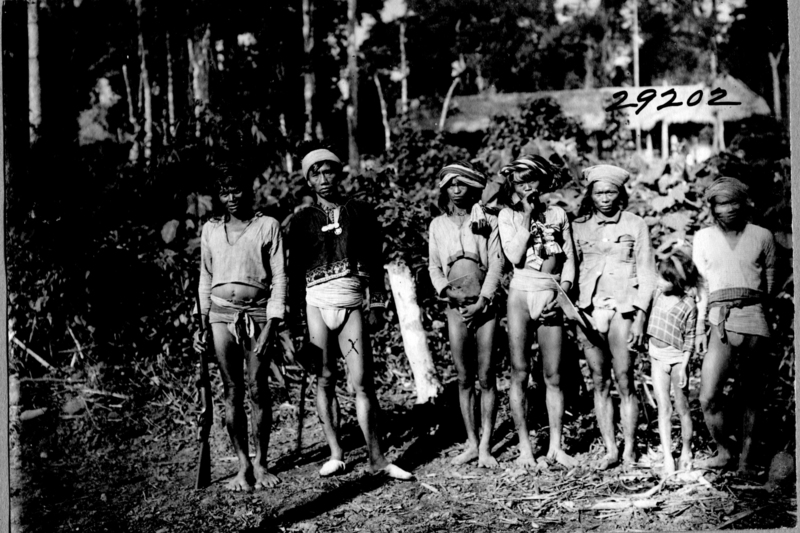 Together, they spent four years among the indigenous people of the the Philippines. They had one son, Lamont Cook Cole, a scientist who specialized in social history, population regulation, and ecology. Mabel's books include The Story of Primitive Man, The Story of Man, Savage Gentlemen, and Philippine Folk Tales. Laura Watson Benedict was born in 1861. 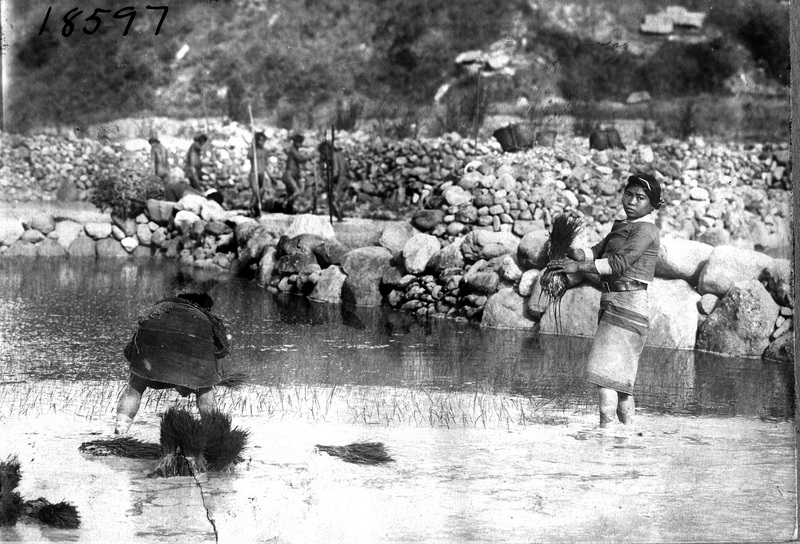 She was the first anthropologist to travel to the Philippines to study the Bagobo people. In 1910, the American Museum of Natural History purchased Benedict's 2,534-piece collection for $4,000. Four years later in 1916, she became the first woman to earn a PhD in anthropology from Columbia University with a dissertation entitled, Bagobo Ceremonial Magic and Myth. If you are able to identify people, objects, or contribute to the current description that is shown, please add this information below.